[dropcaps]T[/dropcaps]he 15 passenger ShuttleStar with rear luggage area has a high roof, dual rear wheels for stability, and is easy to drive. The dual rear wheels makes it one of the safest 15 passenger vans on the market. 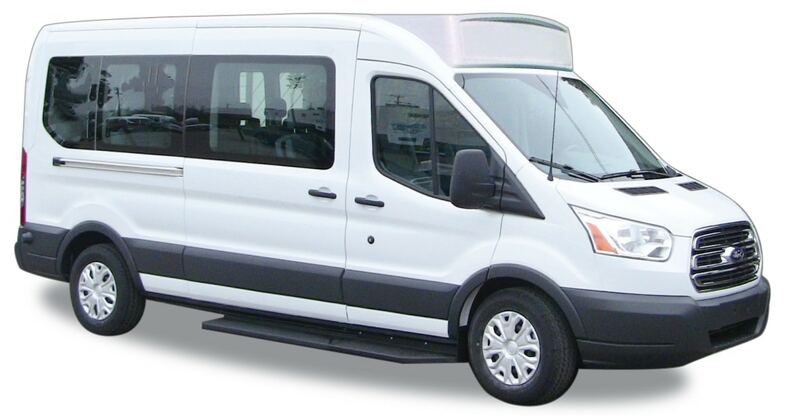 CommTrans stocks the ShuttleStar 15 passenger van with rear luggage area, so give us a call today for pricing. Go To ShuttleStar Van 15 + Luggage Page.